Welcome to the island where the famous Revelation of Saint John the Divine was inspired and written! If you are planning a holiday in Greece, and if you are interested in making a unique stopover at a small island, then let the 'meltemi' - the cool Aegean wind - blow you away on a magical voyage through space and time, over sea lanes and through bygone eras, on a journey of colors and poetic communion with the sounds of the songs of Odysseus Elytis. Patmos is the northernmost island of the Dodecanese, situated on the eastern frontier of the Aegean Sea (southwest of Samos). It has an area of only 34 square kilometers, and lies at a distance of 161 nautical miles from Piraeus. Generously endowed by nature, its topography presents a landscape of outstanding natural beauty, with small stretches of flat land scattered among low, rocky hills. Impressive crenulated coasts are made up of dozens of tongues of land reaching out into the sea, interspersed with picturesque inlets. The island's microclimate is dry; with frequent northerly winds and exceptionally clear air; it is bathed in sunlight for more than 3,000 hours a year. The fortified Monastery of St. John the Divine towers majestically, both physically and spiritually, over the whole of the island. 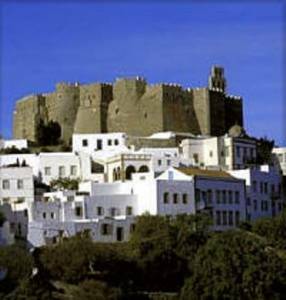 Apart from being a destination for pilgrims, Patmos is an ideal island for quiet holidays. Its natural beauty, quaint settlements, crystal clear sea and the traditional architecture of Hora, along with a well-developed tourist infrastructure, make it uniquely suitable for repose and relaxation. You can swim in the crystalline waters off its shores, at small, organized beaches, or in one of its isolated, tranquil bays. For accommodation, you may choose from among the island's many hotels of various categories, rooms for rent, and campsites. Patmos mainly offers quiet holidays, but for those who seek it out there is no shortage of nightlife, ranging from picturesque tavernas with traditional Greek music to pubs and discos. If, however, these are not to your liking, they will not disturb your tranquility. This intimate and elegant small complex features first-rate accommodation, a breathtaking view, and excellent facilities and beach access. 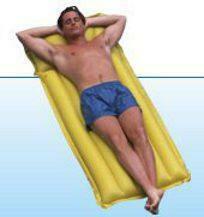 Family-owned and operated, the Petra has created a wonderful oasis for relaxation and comfort. This traditional hotel enjoys a privileged position on a quiet side street just off the port. The hotel features a large garden area with swimming pool, plus a bar and cafe. Wi-Fi is available in the public areas of the hotel.